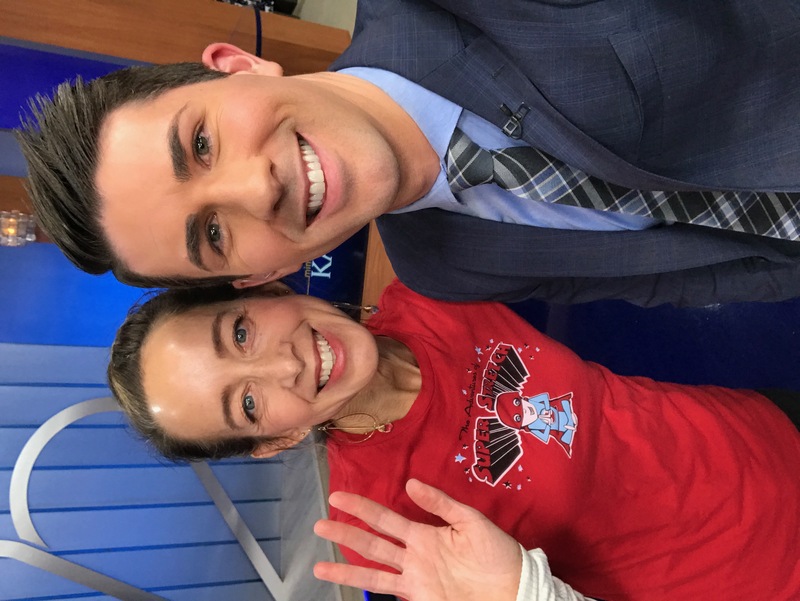 What a blast being a guest presenter on KARE11 with Bryan Piatt at 4pm on December 11, 2017. Our time went by so fast! 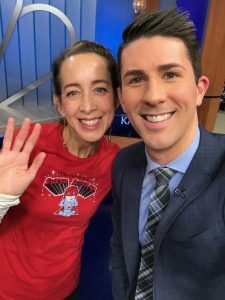 We discussed fun and easy wellness tips for kiddos and their parents to do during the stressful, busy holiday season. On the segment I shared with Bryan how our body is an amazing super human machine powered by the breath. But, what happens when you are stressed, sad or anxious? You forget to breathe and that is unhealthy! Bryan and I did some breathing and playful movement exercises to learn to ride the storms of life with ease so we can be centered, happy and healthy. The simple, proactive wellness tools we did help people to shift perspectives and relax so that they can be a better people to themselves, their family, teachers, co-workers and even people on the street during the busy holiday season. Balloon Hugs = Gives one lightness like a real balloon! Breathe in to get big and light, breathe out to let go and regroup. Let’s try it! It will open up the chest and allow your back and shoulders to release tension. Sit comfortably on a chair or cross-legged on the floor. Place your hands to knees and breathe in and out through the nose. As you breathe in, fill your body up, arching your back and opening your chest to the sky. As you breathe out, it almost looks like you are deflating a balloon as you move your belly button to the spine and look to your tummy. Try this 3x in a row. On the next inhale bring arms out wide and open them up to the sky broadening your body feeling light like a balloon. On the next exhale bring arms back down and give yourself a big, squishy bear hug letting all the hot air out of your body. Try this move 10x in a row. Look at holiday tree or out the frosty window and take two minutes of quiet to breathe. It shouldn’t feel any particular way. Remember to state that it’s ok if they notice their mind wandering. Just bring your attention to the sensations of breathing in and out. If a thought or distraction comes into your mind let it pass and focus on your breath. Once the two minutes have passed have a discussion about the practice. What did you experience? How did the breath feel? PS: If you are really upset with someone then Roar Like A Lion! Helps with letting go of anxiety and triggers vagus nerve and parasympathetic nervous system to kick-in which automatically calms your body down. Mindfulness practices are simple, fun and empowering. Playful movement creates balance in body, mind and heart. Breath work helps to let go of stress, reign in scattered energy and relax so you can soar through life with ease.